The Milky Way - Solar System Planets And Moons Section. The Milky Way is a messy eater. Milky Way's Halo Shows Mystery Object. The Milky Way is a messy eater. When it collides with other Galaxies and consumes them, it leaves shredded collections of stars around called dwarf galaxies. Astronomers poring through the data from the Sloan Digital Sky Survey have found what they think could be a new dwarf galaxy. 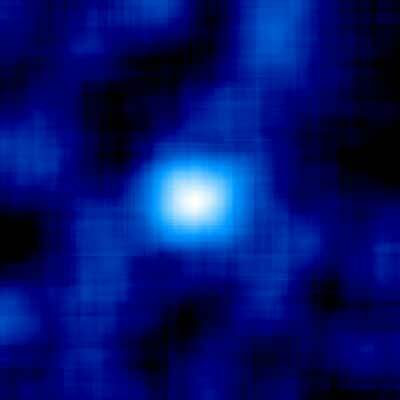 This new object, called Willman 1, is dim: 200 times less luminous than any other nearby dwarf galaxy. Further observations could validate the theory that the Milky Way is surrounded by clumps of dark matter, each of which has a dwarf Galaxy in their centre. Orionid Meteor Shower, October 21. You might want to set your alarm clock a little earlier on Thursday morning, so you can enjoy the Orionid meteor shower. If you look towards the constellation of Orion, with its easy to find belt, and be patient, you should see at least a few meteors streak past in the sky. This annual event happens because the Earth is passing through the dust trail of Halley's Comet, which returns to the Sun every 76 years. Orionids move fast, striking the atmosphere at 66 km/s (148,000 mph), which means they can be more spectacular that other, slower moving meteor showers. In dark conditions, you can expect to see 15-30 meteors an hour; less in the city. Stars Take an Erratic Journey. Our solar system takes a very consistent journey as it completes an orbit around the centre of the Milky Way galaxy, similar to the way our Earth goes around the Sun. But Astronomers from the European Space Agency have used the Hipparcos space-based observatory to find stars which don't stay put in the galaxy. Instead, these rogue stars will travel on a more erratic path, perhaps given a kick by the denser leading edge of the Milky Way's spiral arms. These kinds of stars account for 20% of stars within 1000 light-years of the Sun, so it's a very common situation.